Stories are driven by yearning. In order to get somewhere, there has to be a current position and a destination. 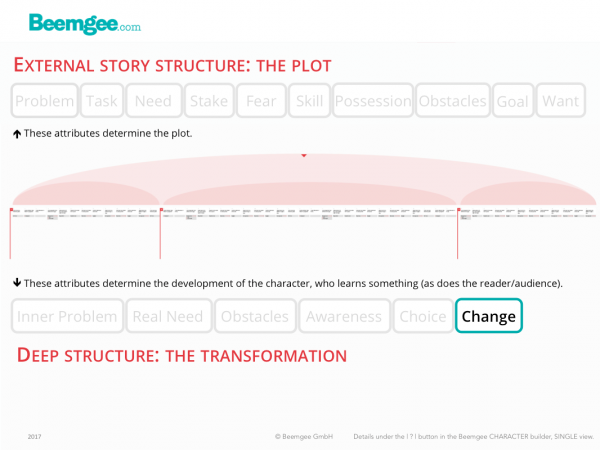 Stories fundamentally describe a change of state – things are different at the end of the story than at the beginning. Hence a story has a starting point and a final end point, a resolution. But that’s not enough. There has to be fuel, energy to power the motion between the one position and the other. 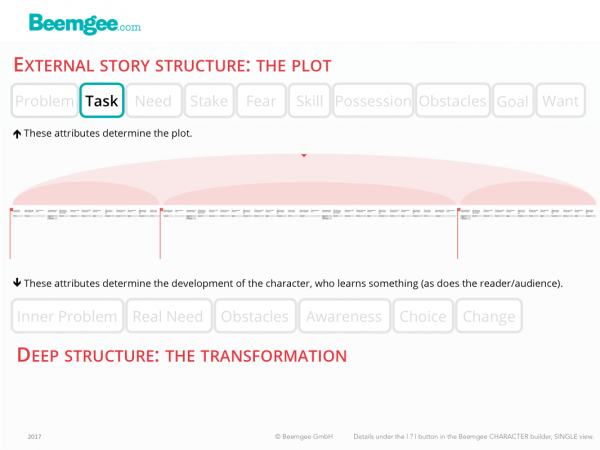 In stories, this driving force is the motivation of the characters. Motivation is so important to storytelling that we are going to look at several aspects of it. We’ll break it down into what we call the wish, the want, and the goal, all of which are interlinked but also distinct from each other. Here in this post, we’ll deal with the wish. A wish is inherent in the character from the beginning. We might call it a character want, as distinct from a plot want (which we deal with elsewhere). Certain universals are feared by almost everyone. Such as death. If a character in a story has loved ones, losing them is an even stronger fear. A story engages the audience or readers more strongly when there is something valuable at stake for the character, such as his or her own life or that of a loved one. So giving a character a universal fear is usually a good place to start. 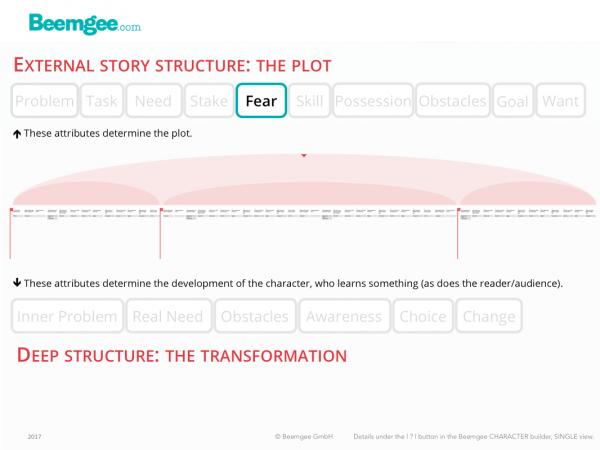 Giving a character a specific fear to overcome requires this information to be placed early in the narrative. The fear is then faced at a crisis point in the story, usually the midpoint or the climax. Stories need characters. 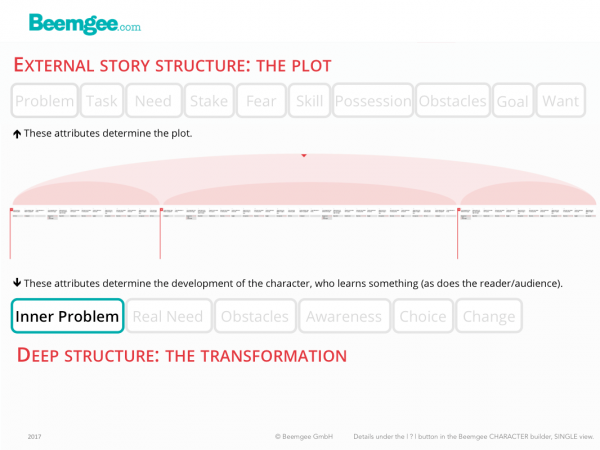 What the characters do creates the plot. With a well-rounded cast of characters, the plot will almost take care of itself. 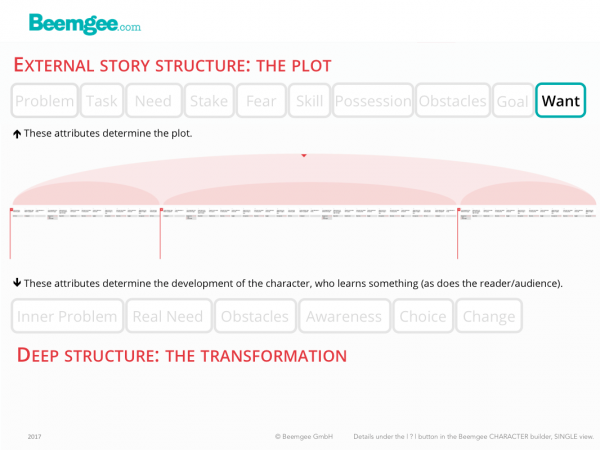 A story gets energy from the dynamic that occurs between the all the characters in it. The interaction between the characters is fueled by contrast, motivations, and conflict. Put a bunch of characters in a room – i.e. on a stage, between the covers of a book, between the first and last shots of a movie – and the plot is likely to emerge on its own. As long as there are contrasts between the characters and their motivations, conflict will arise. So how does an author cast the characters that bring the story to life? First of all, one character is rarely enough. Almost all stories need several characters. Even Robinson Crusoe couldn’t hold out alone. It’s the interplay between characters that creates interest. For interplay, read conflict. Conflict in storytelling does not mean fights and battles. It means a conflict of interests. Characters become characters because they have interests. Their interests make them do what they do, and this doing is what drives the plot. Archetypes in stories express patterns. 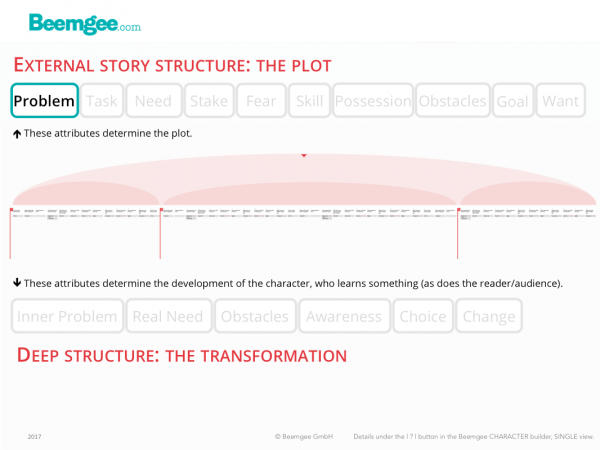 While plots may be “archetypal” when they exhibit certain forms, in this post we are concerned with character archetypes. In modern storytelling, to consider them as archetypes might suggest a bit of a corset, perhaps even a straightjacket for the characters. For today’s author, to present a character as an archetype does not seem conducive to achieving psychological verisimilitude. But an archetype is not the same as a stereotype. An advisor or mentor does not need to be a wise old man like Obi-Wan Kenobi. And an antagonist does not need to be a baddy. 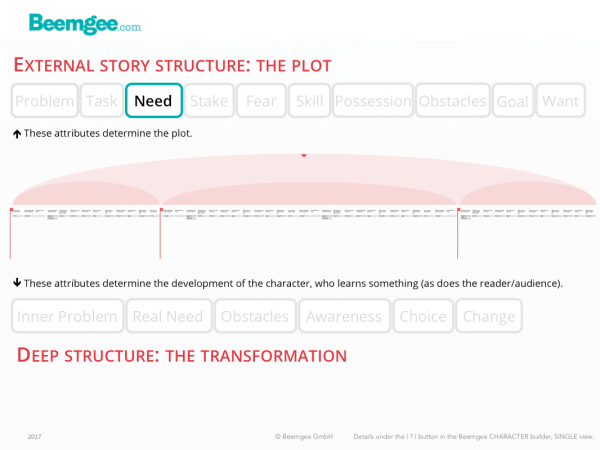 Consider archetypes as powers within a story. Like planets in a solar system, they have gravity and they therefore exert force as they move. Archetypes denote certain general roles or functions for characters within the system of the story. There is ample room for variation within each role or function. Boundaries between one archetype and another may be fuzzy. And it is possible for one character to stand for more than one archetype. Stories are about people. Even the ones about robots, or rabbits, or whatever. If you’re thinking about composing a story, you will probably have some characters in mind that will be performing the action of the story. 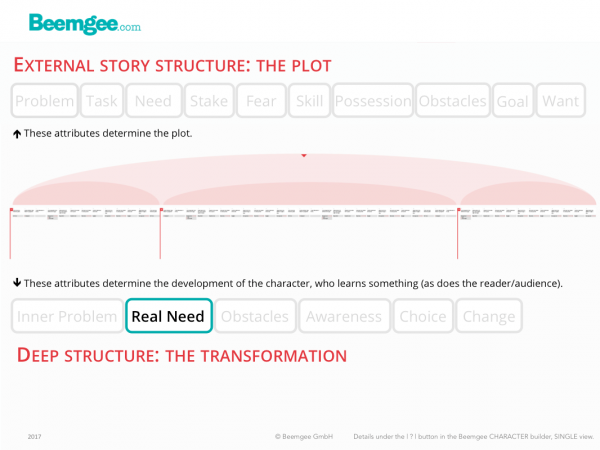 In stories, action and actors (in the sense of someone who does something) are pretty much the same thing looked at from two differing perspectives, as we have noted in our post Plot vs. Character. The most obvious difference between characters in stories and people in real life is that story characters tend to be driven. 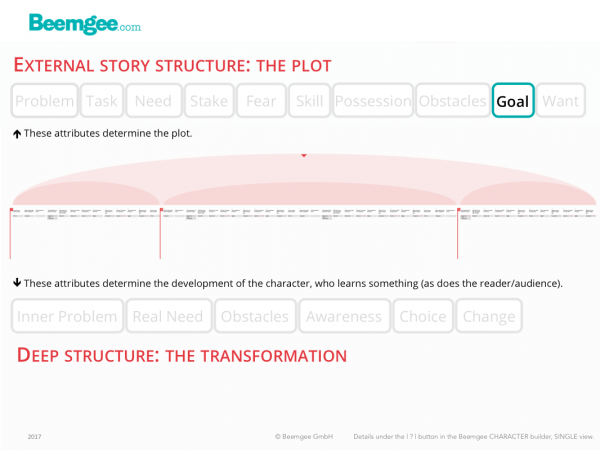 Narratives tend to be more compelling when the characters they describe are highly motivated. Rarely in life are our wants, goals, and perceived needs as clear and powerful as for characters in stories. Our real lives tend to drift rather than head in a specific direction; it is often in retrospect that we ascribe direction when we try to understand our lives by putting them into narratives. Historical personages who seem to demonstrate drive and direction (and have perhaps become historical personages because they had these qualities) make for more interesting biographies than people whose motivations were less strong. Another aspect that sets characters in fiction apart from people in life is that characters tend to fulfil narrative functions in their story. People, on the other hand, live their lives by acting naturally according to the dictates of their personality. A story is a more or less enclosed unity, while an individual’s life is part of a greater whole. Only in retrospect do we sometimes overlay a narrative onto the biography of an individual – because we tend to feel happier when we perceive structure or direction in the lives of others or indeed our own. We can extract more meaning out of a life that can be told with structure and direction. In fact, there is no way of recounting a person’s biography without making choices concerning structure. If we’re honest, even the choice of which events to relate and how to relate them injects a fair amount of fiction into the story of a life, especially when that life is our own as we tell it to others or ourselves.